cozee*clothing has no other items for sale. Sales tax may apply when shipping to: CA*(9.95%), IA*, MN*, WA*. This product is AMAZING. I am young, very pale and have red discoloration from sun damage. This is better than foundation!!! Start with a light layer and build if you need more. I use a foundation brush. I use a vitamin K moisturizer before, then a pore primer, then this correcting creme for coverage, and my skin has never looked more even. The creme doesn't flake or dry out my skin, and if I need to re-apply later it doesn't look caked on. Will buy this forever. This is not exactly what I had expected, I thought it would have more coverage and it does not, it has a fair amount of coverage and for that I am somewhat disappointed, other than that,everything is fine with the product! I highly recommend and use this as a concealer worn under my foundation - not as a foundation. It covers opaquely and is highly blendable. It covers redness, small veins, pimple inflammation and other sins while staying in place and not turning oily or causing break-outs. It has a nice matte finish and eliminates the use of a primer, which justifies the price. A little goes a long way, it doesn't dry out in the jar, and the color disappears when foundation is applied on top of it. The cons to me are it's a bit pricey for its size, it's not sold in most stores, and I'd rather prefer it to be manufactured in a tube so that the entire product isn't contaminated as soon as the lid is removed. These are the reasons I did not rate it 5 stars. 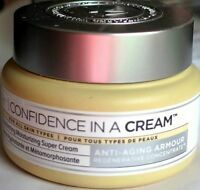 This cream easily absorbs into the skin and does leave it looking fresh without being greasy. I've been using it for a couple of months now and can see the creases in my forehead lessen, as well as the laugh lines around my mouth. The only reason, I gave it 4 stars is because I tried it around my eyes and I ended up having a slight allergic reaction--they puffed up and had a rash. On the informmercial it was mentioned it could be used around the eye area. I will continue using this product, just wish iT would make an eye cream. I love this product! I had watched a girl using it in a video and decided to try it. 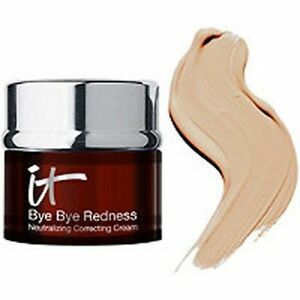 It takes away almost all redness or difference in skin tone and provides good coverage. It is much better than any foundation that I have ever used. I am so glad that I tried this product and will continue to use it.